1. How do I decide what kind of fence I need? First you need to determine your goals. Do you want to create privacy, provide safety around a pool, or retain pets or children? Maybe you have commercial needs requiring extra strength and durability. What is your desired look and location for the fence? It’s also important to determine your approximate budget and when you hope to have the fence completed. Fences are available in many different materials and styles. Our project managers can explain the advantages of various materials and their suitability for your job. 2. What do I need to find out about local codes for fences? Building codes for fences and pools vary by state, county, city and even subdivisions. You can contact your applicable county zoning department to determine exactly what these rules are. Codes may determine setbacks, heights, and materials. It is very important to find out first just what your local codes are to avoid any unnecessary problems later! 3. What kind of fence materials do you use? Fence materials can be used alone or in combination with one another. Wood is a natural look with many styles to choose from. Ornamental aluminum and ornamental iron provide unique, custom looks. We offer residential and commercial chain link. Vinyl coated chain link is very popular and comes in a variety of colors to blend with the environment. 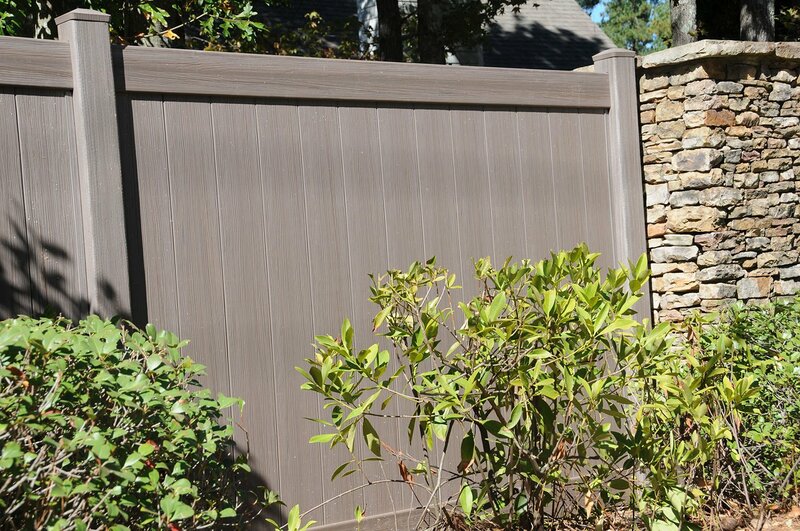 PVC (polyvinyl chloride) is the newest, virtually maintenance-free choice for fence material. 4. 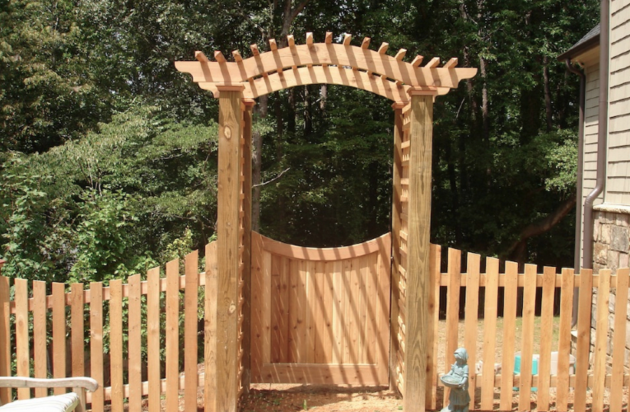 What is the difference between pressure treated and cedar wood fences? Pressure treated pine has been chemically treated to help discourage damage from insects and moisture. We use pressure treated wood exclusively for the posts which are set into the ground. 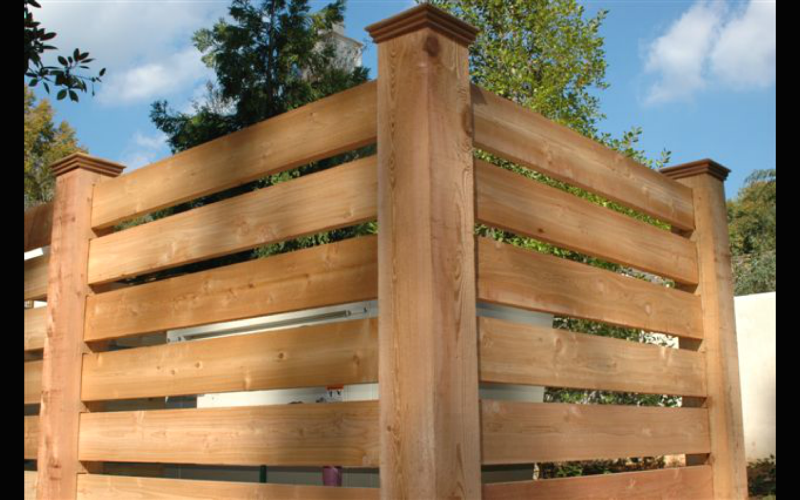 Cedar is used on parts of the fence that don’t come in contact with the ground. Cedar is more attractive and less likely to shrink, warp or split. It is a very popular choice for privacy and picket fences. It weathers naturally and will maintain the quality of its appearance longer. 5. How long should I wait to paint or stain my cedar fence after it is installed? Until recently, we suggested allowing the wood to weather naturally for several months before staining. However, with recent changes in the formulation of stains, it is now okay to apply a finish to your fence right after it is installed. 6. 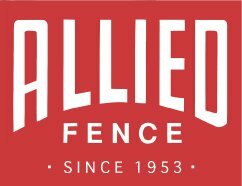 If Allied Fence Co. installs my fence, what kind of warranty will you provide? We offer a limited warranty on the labor for 1 year. The warranty on the materials of the fence will depend on the product chosen to build your fence. Typically this will vary from 15 years for vinyl coated chain link, to a lifetime warranty for aluminum. We will be happy to provide you the details for your fence. 7. Can I buy just the materials from you? Certainly! We offer fencing material for the do-it-yourself customer. We have a well trained staff to assist you in determining your needs and to answer your questions about installation. Our complete showroom has a wide variety of fence products on display to help you in the selection process. 8. My dog digs beneath my existing chain link fence. Any suggestions to discourage this? There are different methods to help prevent your dog from digging under a fence. The solution will depend on the size and determination of your pet as well as the terrain of your yard. Extra wire can be added to the bottom, and concrete fill-ins or stakes can be effective deterrents. The invisible fence is also effective when used in conjunction with a traditional fence. 9. What kind of standards pertain to fence materials? Our project managers are well trained in ASTM standards for fence products and installation. ASTM is The American Society for Testing and Materials. Allied Fence Co. is also a member of the American Fence Association and we subscribe to the AFA Code of Ethics. 10. Why should I choose Allied Fence Co. to be my fence contractor? 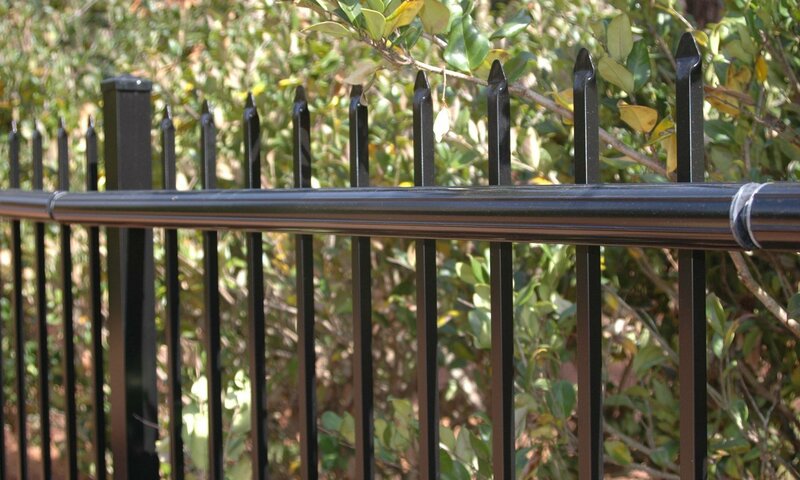 We have been building fences since 1953 and are committed to the highest quality standards. We offer expert installation of all kinds of fences and access control systems. We carry liability and workers compensation insurance. Our professional staff is well trained to assist you in selecting the correct fence for your needs and budget. Contact us by phone or email or request a project quote. or call 770.944.1501 for details.